When my little sister repeats my name a thousand times over, I want to strangle her. However, when BROODS repeats their title over, and over and over again, it is as though a melodious choir of pristine angels were encouraging me. A legion of angels in my corner? Now that’s a backup team I want on my side! But what are they inspiring listeners to do? Now, this hypnotic phrase in BROODS’ persuasive track “Bridges” may not be good for those who are easily influenced. I would never suggest you burn every single one of your relationships to the ground, but at the very least, you should consider who you should let go of. Georgia and Caleb Nott hail from Auckland, just like their noted competitor, Lorde. 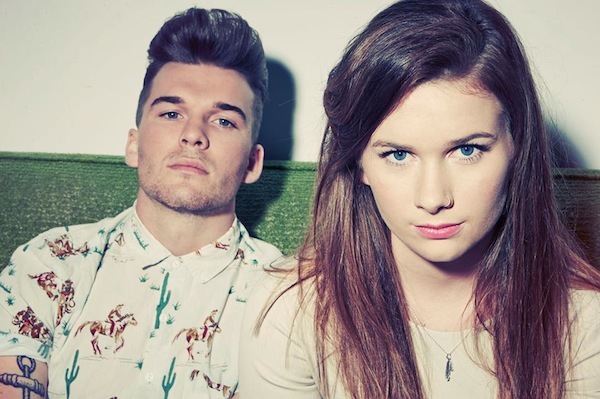 Though she and BROODS are often compared, the brother-sister duo remains steadfastly unique. The carefree spirit and down-tempo style Lorde displays in her music is present in the single “Bridges,” but the pure, gentle and wispy voice of Georgia Nott is not comparable to Lorde’s. It’s as though Lorde’s music had an Ellie Goulding flair. Similarities or differences aside, we can all agree that this alternative indie pop is a trend we can all live with. Georgia composed “Bridges” while lying in bed one night. That’s ironic, as it sounds like both a calming lullaby and an awakening anthem all in one. This single bodes well for the band’s future work. And listeners, if you weren’t part of the wave of fans that was forged when “Bridges” was released late last year, this is a treat for 2014. I can only hope whets your appetite for BROODS’ music as much as it did mine, and hopefully, the band will be out with more very soon.